According to findings presented by the MHI Annual Industry Report, as many as 80% respondents of the survey believe that digitalization has the power to disrupt the industry. For 16% of them, it is already creating either disruption or competitive advantage. 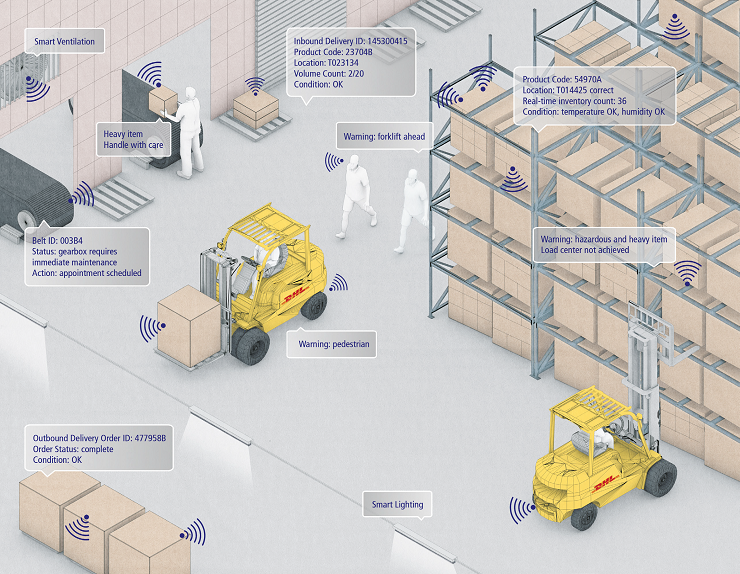 There are 7 aspects of the digital warehouse, in particular, that look towards the future. These very aspects are now on their way to make warehouse digitalization a reality. 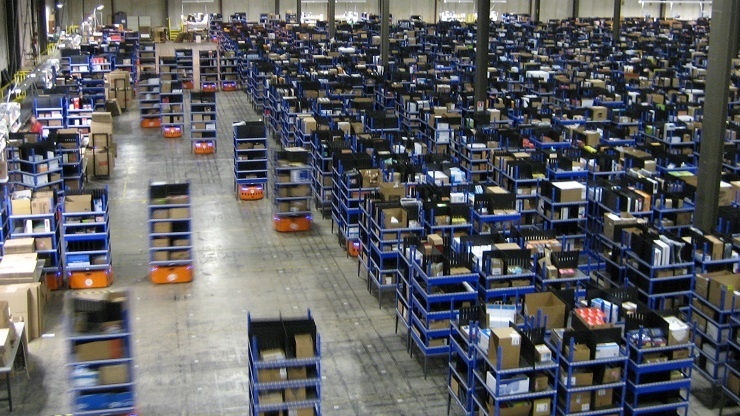 Here is how promising the future of warehousing may be. 6 years from now, this is what the adoption rates of the 7 aspects of warehouse technology will look like. The future of the modern warehouse and the supply chain will be anything but opaque. Blockchain has the potential to play a pivotal role in achieving transparency at every level. It has the power distribute information fast and securely, thus making real-time data exchange for warehouses efficient and transparent. The key technology that blockchain is incomplete without is the Internet of Things (IoT). IoT is an ecosystem of sensory devices (for e.g. location, humidity, temperature, etc.) that are interconnected across digital networks. These can collect and transmit data in real-time without any human interaction. To deploy IoT successfully, you can read this article. Together, these technologies are bringing real-time visibility and seamless collaboration among processes and chain partners, resulting in highly evolved, efficient, and effective operating models. The transformation from fixed desktop workstations to smartphones and mobile devices is a major step forward in gaining warehouse efficiency – it reduces the walking time substantially. Today, devices and apps allow warehouse employees to work and access data on the go from within as well as from outside the warehouse. Smartphones are not only liberating warehouse clerks from deskbound activities, but also adding newer dimensions of capabilities to standard workstations. Today’s warehouse mobile solutions can deliver excellent operational efficiency and computational power that warehouse operators need. The advantages of functions like imaging (pictures & video), tracking, cloud integration, video-conferencing, voice/face recognition, and even personal assistants open new frontiers for transformations that these technologies can bring to warehousing operations. The more we look towards the future, the more the mobility proves to be of essence. Warehouse mobility is one of the most secure areas to invest in as long it is well planned and strategically aligned with operational needs. Although not widely adopted, AGVs (Autonomous Guided Vehicles) promise to revolutionize the way cargo is transported inside and outside the warehouse. They are the very potential substitutes of the forklift inside the warehouse. Giants like Amazon are making the most of it and substantially cutting costs, time, and human effort by adding 15000 Kiva robots every year. Drones are about to disrupt the warehousing industry too. They are safe and economical when it comes down to locating cargo, conducting inventory, counting cycle, and performing stock-taking operations. A drone equipped with sensors, cameras, barcode scanners or RFID technology can reach even the innermost spaces within a warehouse. These can complete checks and manage inventory in less than 1/3rd of the time taken to do it manually. AGVs are also capable of moving goods in the warehouse, speeding up the picking process and contributing in inventory management operations. The good news is that if you are looking for warehouse management for small businesses, AGVs can be as handy for tools as they can be for large enterprises. This is one reason why AGVs are certainly a part of the future. According to Gartner, more than 110,000 drones/UAVs were sold in 2016 for commercial use in the U.S. Warehouses are expected to play a key role in increasing customer satisfaction, effectively predicting product demand, and making better use of the resources at hand. As a result, the necessity for forecasting and accurate decision-making arises. An increasing number of warehouse managers are now keen on interpreting data trends not only to anticipate stocks, but also to optimize warehouse capacity and asset utilization. This is where predictive analytics come in. Predictive analytics make use of statistical techniques such as predictive modeling, big data, and data mining to analyze historical trends and make predictions about the future. Predictive analytics together with artificial intelligence (AI) can, in fact be very effective for recommending optimized inventory levels, inventory replenishment, and increasing operational efficiency, and warehouse optimization as a whole. The global market for predictive analytics is expected to reach US$3.6 billion by the year 2020. This is proof enough that not only warehousing, but also all sorts of industries find it worth investing in smart analytics and machine learning. 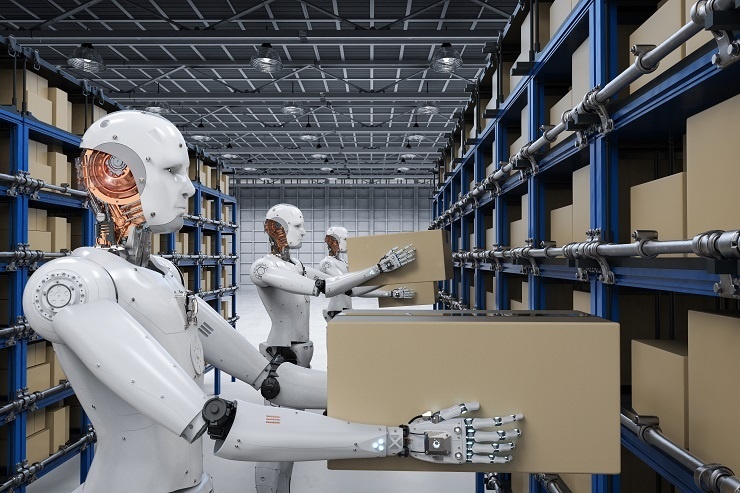 One of the striking features of a digitized modern warehouse is the interconnection between people and warehouse technology. 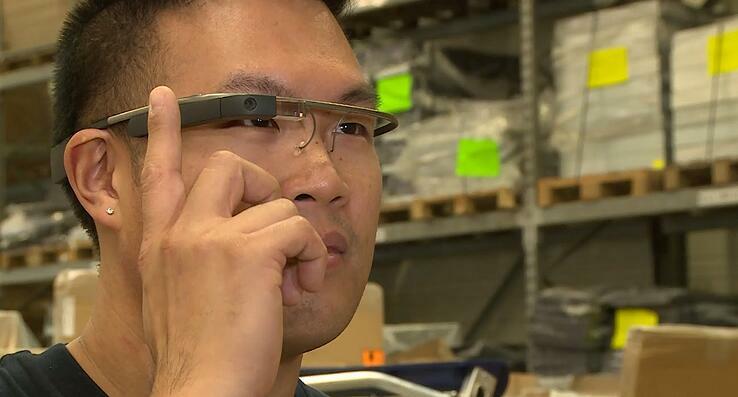 Wearable technology is the one that enables it. It provides warehouse clerks and managers the access to a wide spectrum of information in real-time, irrespective of their location, environment and physical constraints. Wearables are small computers that can be strapped to the wrist, head, or any part of the body. Devices like smart glasses, augmented reality, and voice enabled devices are becoming popular by the day to achieve effective ways of interaction with systems. The result will be better flow of information, greater visibility, decrease in error rates, superior safety, and increased service levels at lower operating costs. These can help optimize efficiency in processes like order picking, receiving, handling, high-value asset handling, cycle counting, safety, and workforce training to name only a few. Warehouse automation is a present reality and one that is certainly a part of the future digital transformation. 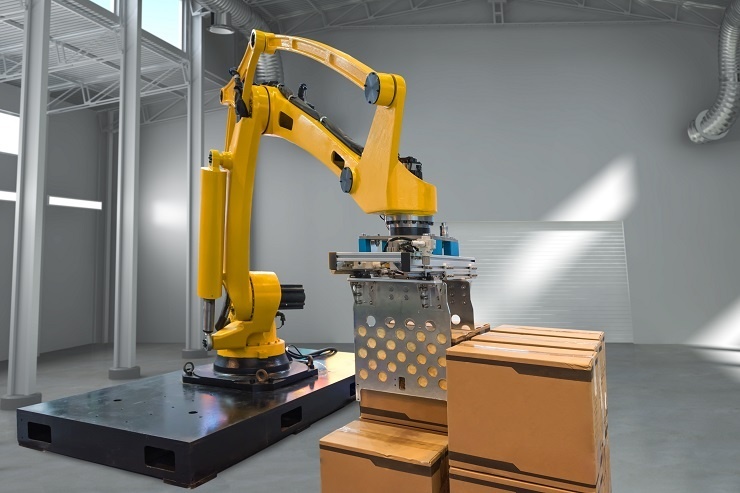 Automation and robotics can simplify and perform the same tasks that are done manually, in much lesser time and cost (cumulative), and increased efficiency. Robotics are expected to become more human-like in the aspects of memory, sensing, skill, and the affinity for learning without being programmed for particular skills (AI). 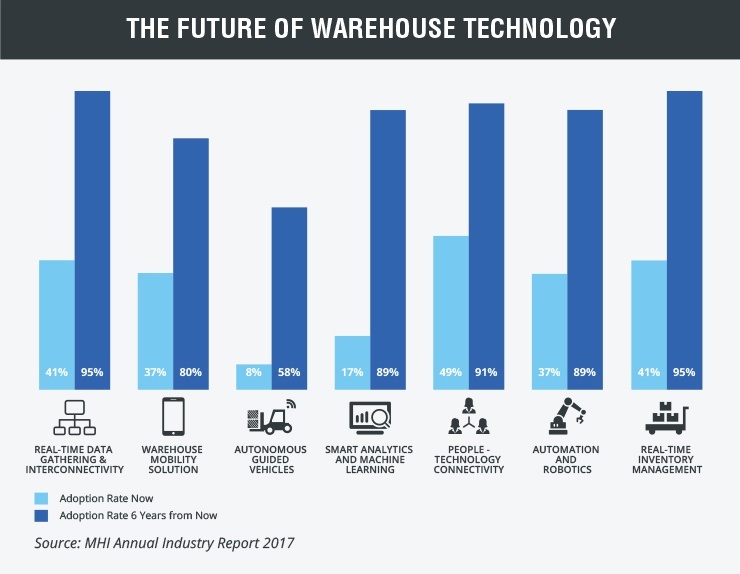 A survey conducted in 2015 by Zebra to study the advancement in warehousing in the next 5 years concluded that as many as 70% respondents were looking to automatize their warehouses/warehouse processes. Automation is one indispensable aspect without which warehouses are unlikely to exist in future. The highly successful state of commerce is exerting heavy pressure on warehouse managers for more efficient inventory management. They need more visibility and control over inventory. Automatic identification systems like smart sensors, RFID (Radio Frequency Identification) GPS, etc., not only provide end-to-end visibility of inventory, but also, operational intelligence through the data that these sensors collect in the process. This helps in optimizing inventory management as well as in making the warehouse safer while increasing visibility. As many as 75% of the respondents of the MHI report are likely to adopt these systems in less than two years from now. With the increasing number of smaller orders and the omnichannel trade, real-time inventory management systems will become a staple in the future warehouse. Warehouse digitalization is a reality that the warehousing industry must come to terms in order to sustain and thrive against increasing competition and market pressures. If we look futuristically, the smart warehouse that only seems as a disruptive force as of now, is likely to become the norm within the next ten years.